Compressed gas, non-inflammable and oil-free. For non-contact cleaning with high pressure. Contact cleaners, removes layers of corrosion and dirt from contact materials and thus eliminates contact resistances and voltage losses at plugs, switches, tuners, etc. Lubricant and corrosion inhibitor, for electric contacts. 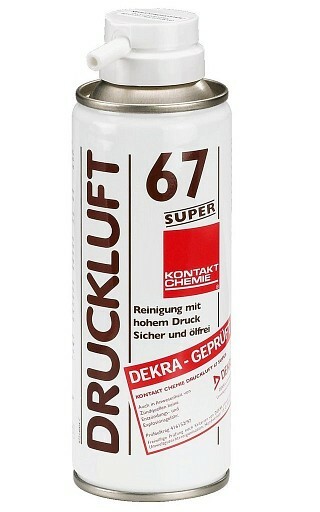 Removes resin, dirt, oil, abraded metal, etc. The contact oil protects and lubricates sliding contacts and plug-in contacts and at the same time reduces the abrasion of the contact material when plugging-in. 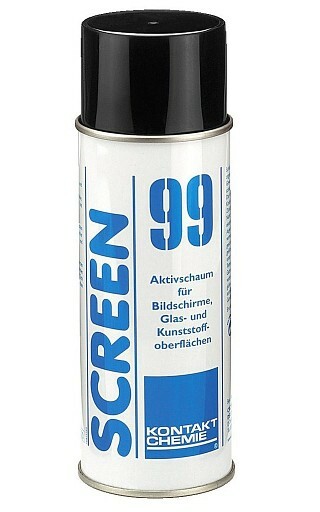 Cleaner for pc boards, with brush spray head. 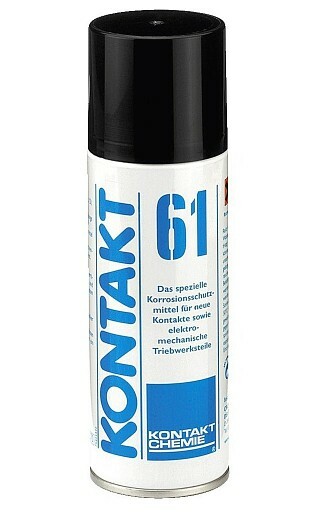 For removing flux residues after soldering work and for general cleaning of electronic components. Contact cleaner plus protection, with a combination of active agents for removing dirt and oxide layers and a high-quality lubricating and protective oil. 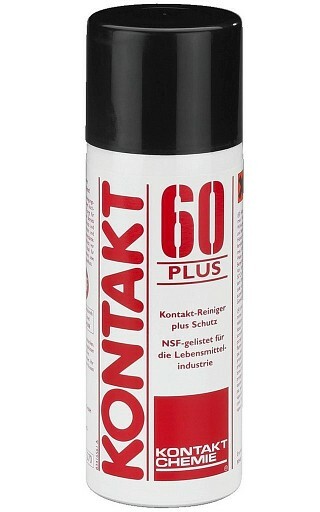 The cleaner KKP60-200 cleans, lubricates and protects and is suitable for the maintenance and repair of plugs, switches, controls, terminals, buttons, etc., particularly those which are exposed to the weather or corrosive surroundings. NSF registration for applications in the food industry. 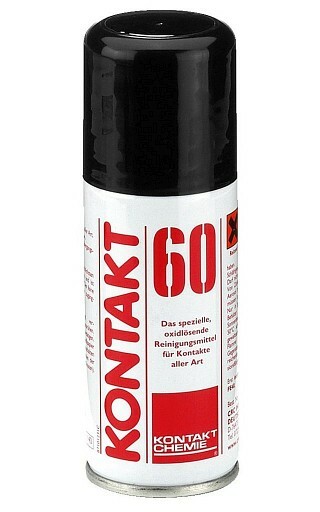 Coolant spray, non-inflammable, for thermal fault finding in electronic applications, for cold shrinking small parts, for quick freezing rubber or plastic material and for controlling the functionality of thermostats and temperature sensors. Powerful cooling effect down to -55 °C. 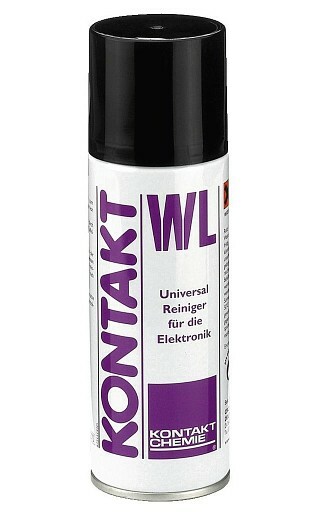 Spray wash, for washing and degreasing electronic units. Can be used for the complete range of electronics. The quick-acting cleaner dissolves unctuous or sticky dirt accumulation without residues. 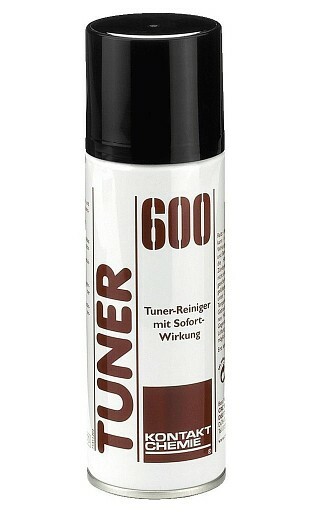 Protective lacquer, for PCBs and electronic components, protects PCBs from moisture and normal environmental influences. The dielectric strength is approx. 110 kV/mm. Note: During repairs, the lacquer can be soldered through. Label remover, for paper labels, natural-based. 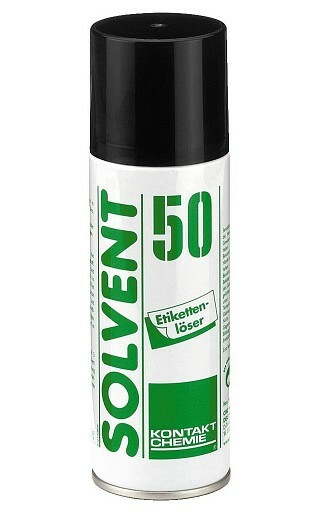 The solvent agent penetrates the label and dissolves the adhesive underneath. Effective after 2-4 minutes. 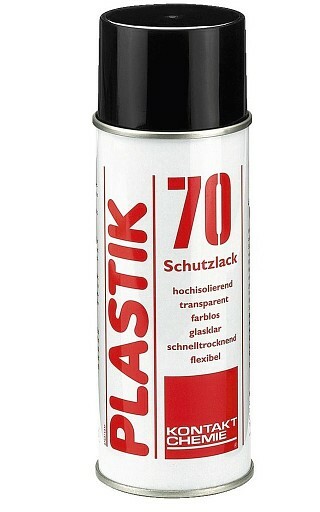 It should not be used on solvent-sensitive plastic materials. Lubricating oil, for precision mechanics. 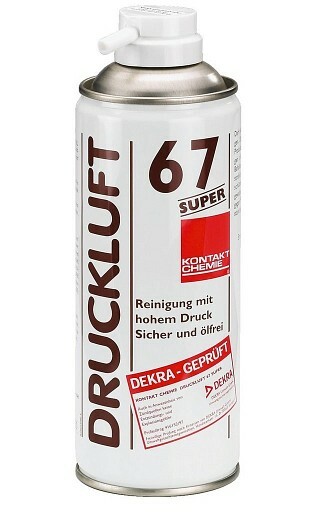 Sprühöl 88 is surface-active, non-corrosive and free from silicone as well as non-ageing. 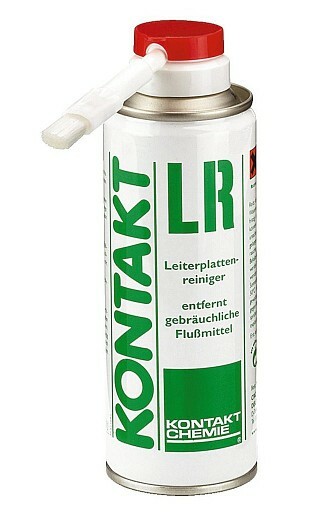 It protects the lubricating points also in corrosive surroundings. 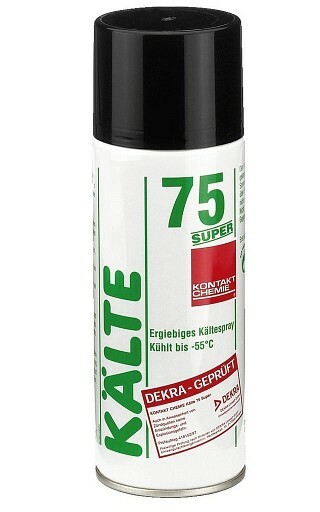 Active foam, for cleaning glass surfaces and plastic surfaces. 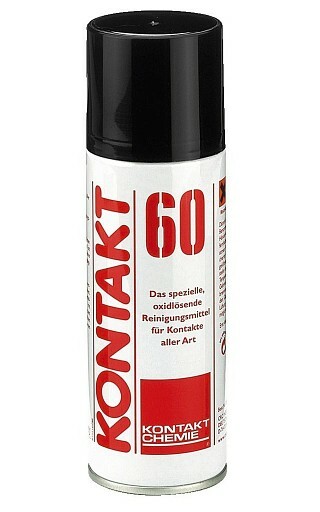 For an effective dirt removal on screens, copiers, housings, etc. 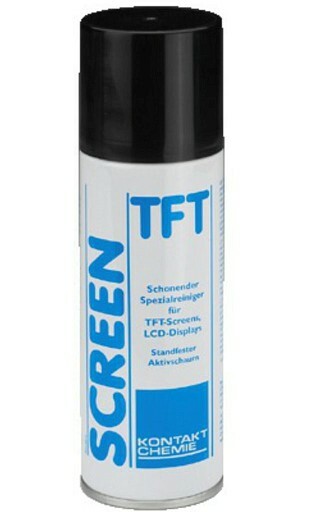 Foam cleaner, for TFT monitors and LCD monitors. The stable active foam is solvent-free, thus suitable for TFT displays and LC displays, laptops, GPS units, mobile phones, PDAs, touch screens, CDs, scanners, photocopiers and cameras. Precision cleaner, for contacts. Cleans light dirt accumulation in potentiometers, sliding controls, etc. and eliminates contact faults. Suitable for sensitive components because it is not harmful to the material.